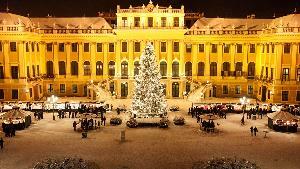 Contest: == Win a Trip for 2 to Vienna, Austria + $1,000 Cash ($4,500)! == Win a Trip for 2 to Vienna, Austria + $1,000 Cash ($4,500)! Prize: Round-trip air for 2; 4 nights @ the luxurious Ruby Lissi Hotel Vienna; $1,000 cash ($4,500).